Help destroy construction sites in this action game. Is there a better alternative to Bomb Squad Rogue? Is Bomb Squad Rogue really the best app in Action category? Will Bomb Squad Rogue work good on macOS 10.13.4? In Bomb Squad Rogue you take on the role as a Bomb Squad Rogue Agent, tired of all the construction going on in the city. Bent on destroying any new building projects, you take to the construction sites, bringing down the monstrosities: the evil land developers insist on erecting in your beloved town, ruining the beautiful skyline. 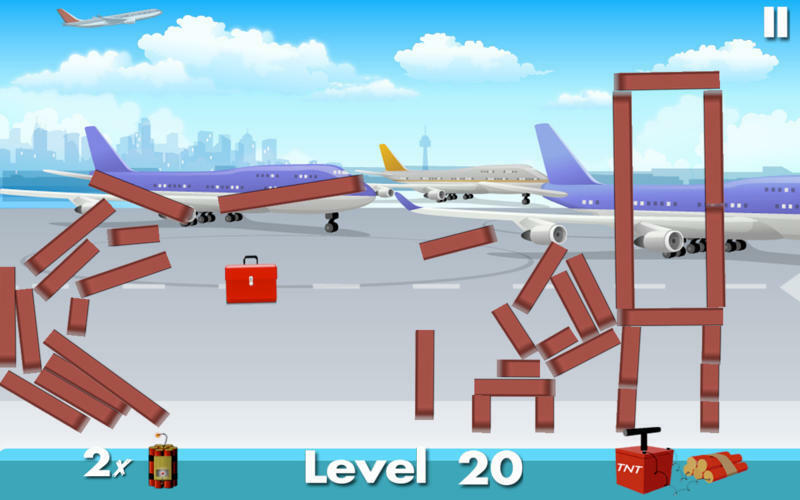 20 levels to test your physics and puzzle skills, bring down the unfinished buildings, and go for the toolbox bonus! Bomb Squad Rogue needs a review. Be the first to review this app and get the discussion started! Bomb Squad Rogue needs a rating. Be the first to rate this app and get the discussion started!